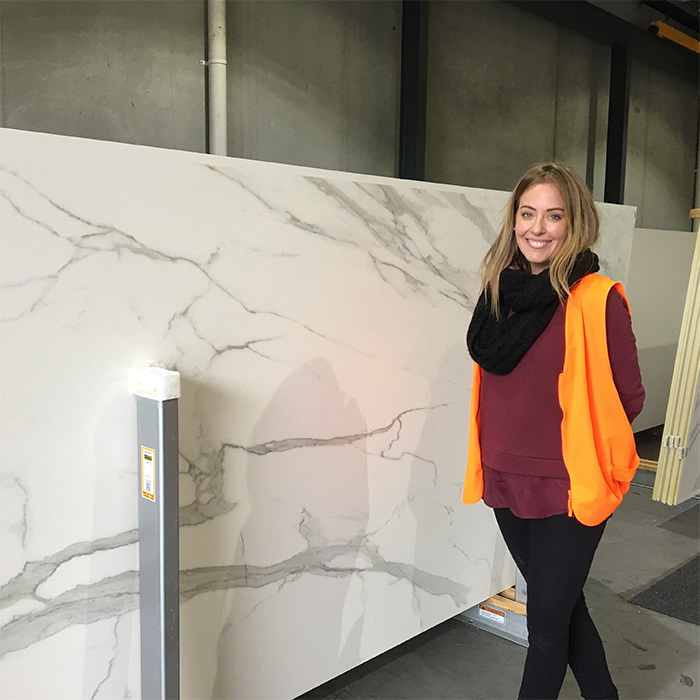 Throwback To Neolith Estatuario Impressing The Block Judges! 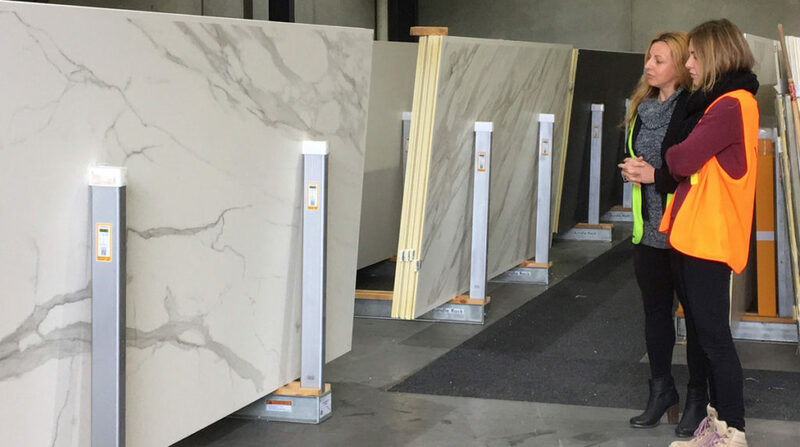 Fresh from Ronnie and Georgia’s Block return last night, CDK Stone is remembering the amazing kitchen reveal from Ronnie and Georgia from the last season of The Block. Featuring a breath-taking Neolith Estatuario splashback, Ronnie and Georgia’s masterpiece captured the judges’ eye. 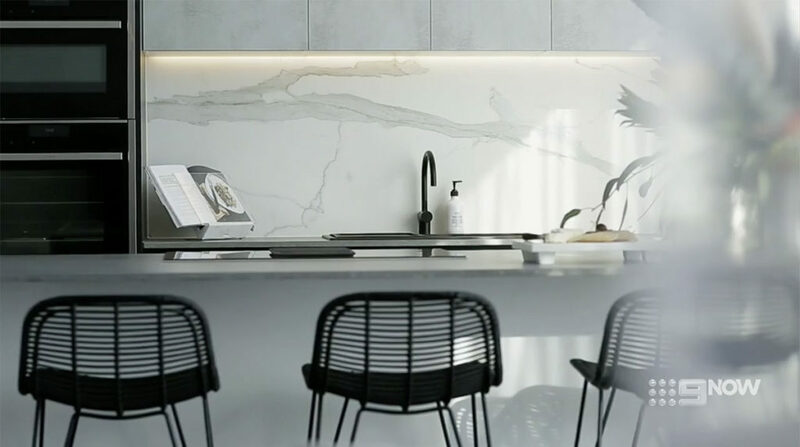 A year later, Ronnie and Georgia’s kitchen is still a testament to the natural beauty of Neolith Estaturario. With a combination of thick and subtle veins crossing a pure white background, Estatuario is a design that exudes elegance and decorates any space with a touch of freshness and class. 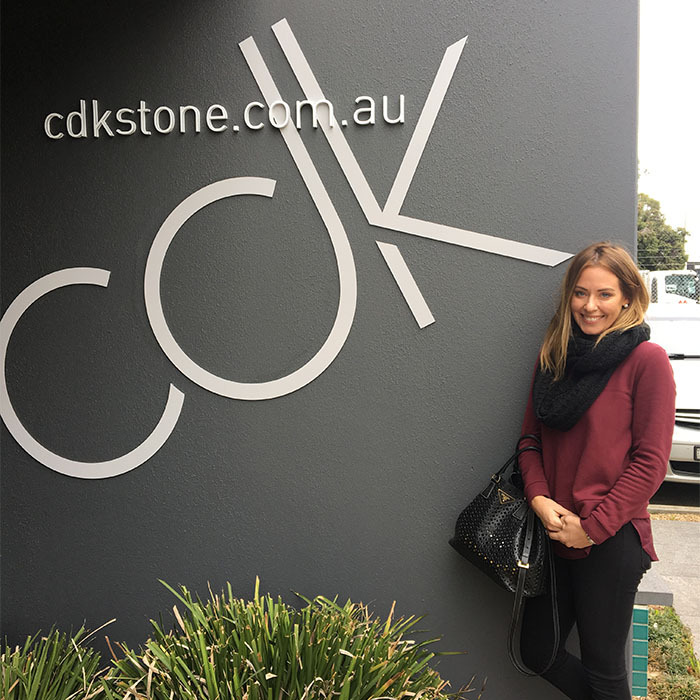 From selection through to install, CDK Stone were proud to supply Ronnie and Georgia with this extraordinary surface. 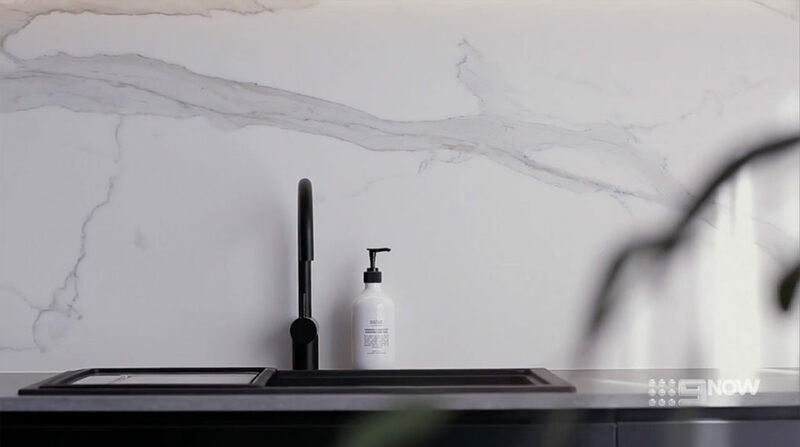 Going beyond a luxury aesthetic, Neolith synergises the utmost design principles with functionality, resulting in a scratch, stain and heat-resistant surface. Perfectly harmonising the grey and black tones within this space, Neolith Estatuario is ideal to add a balanced contrast to every design. 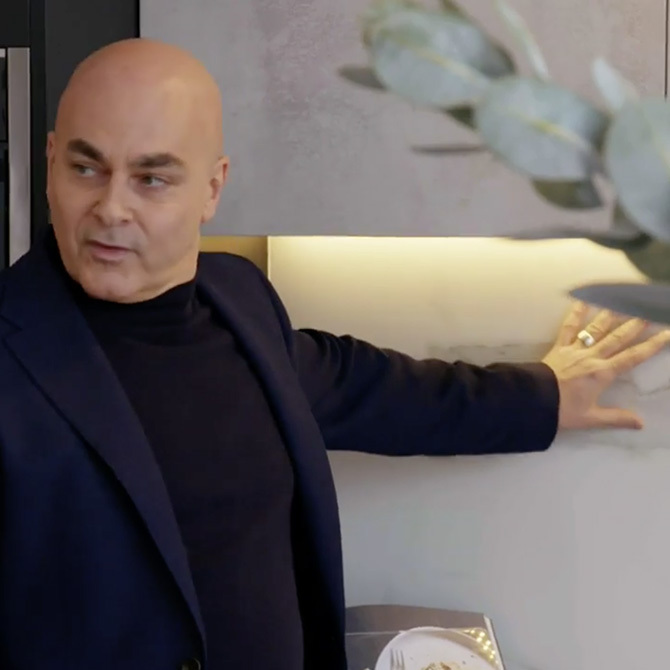 Still in envy of Ronnie and Georgia’s kitchen masterpiece, CDK Stone are keen to see what this season’s contestants have planned for kitchen week! 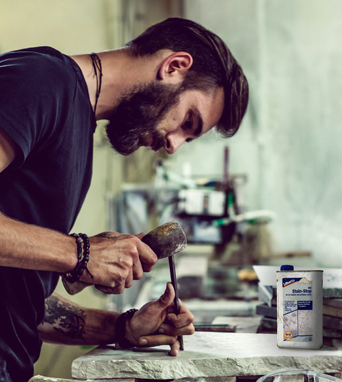 Be sure to keep an eye out for the next CDK Stone masterpiece! This entry was posted in CDK Stone, Neolith. Bookmark the permalink.